Steel security shutter suitable for high security commercial sites up to 72m². Shutters employing direct drive or flange-mount motors are designed to cover a large opening area, or for applications requiring a full cycle up to 160 times per day. High-speed 'rapid-roll' shutters making use of a frequency inverter can operate up to 250 cycles per day, with programmable soft start/stop, and rapid yet safe opening and closing. CE marked to harmonised standard BSEN 13241-1:2003. The S76 can be upgraded to 'Secured by Design' status, with LPCB Security Rating 2 according to LPS 1175 issue 6.0. See the S76 Elite for more information. 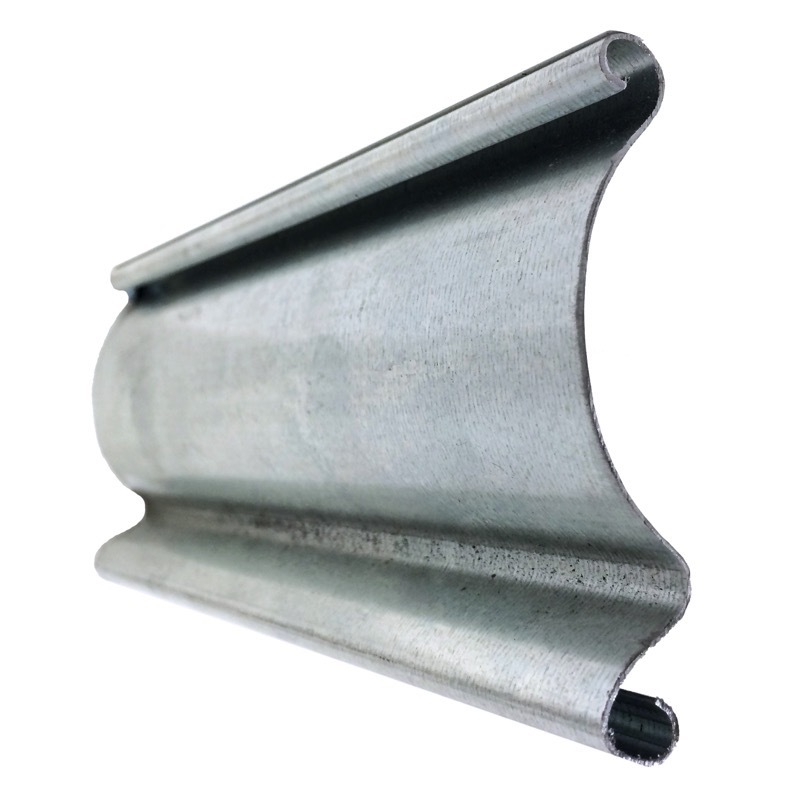 Single skin 76mm (3'') curved steel standard galvanised finish. Wall thickness 0.7mm, 0.9mm, or 1.2mm, depending on overall shutter opening width. Galvanised steel section bottom rail: either 'L' or 'T' shape. Guide channel depth will vary dependent on application, either 50mm, 65mm, 75mm or 100mm. Wind guide option available for 65mm. Guide channels are bolted onto angle or box section, depending on the application. See Plan drawings on this sheet. Electric: GfA Safedrive & Ranger three phase motors with TS959 push button control station as standard. Motors can be direct drive, chain drive or in-line design. Final configuration will be project specific but all motors incorporate a chain manual override facility as standard. Numerous control option variants such as timed closure, group, remote or mobile phone activation. See S76 for single phase tubular motor.